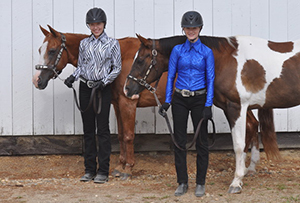 • All students must wear an approved helmet while riding and working around horses. Some helmets will be available to loan, but we cannot guarantee a fit for everyone. Serious riders who commit to weekly lessons should invest in their own helmet. 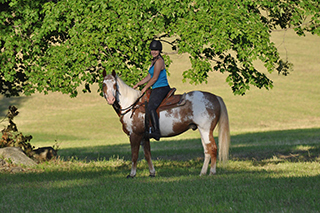 • Wear long pants and riding boots, avoid loose fitting clothing, and keep hair away from face. • Plan for lessons to last about two hours. This allows time for preparation (grooming and tack), the instruction, cooling down the horses, and storing the equipment. Please advise those coming to pick up students to be flexible and plan for at least two hours per lesson. Refrain from scheduling activities before or after a lesson that may interfere with the completion of an activity.